Don’t want to bother with the Jazz Fest crowds this weekend? Jump in your car (or your boat, cher) and head over to Middendorf’s (75 Manchac Way, Akers, LA 70421, 985.386.6666), the temple of thin, crispy fried catfish in the Manchac swamp. The old place soldiers on after 76 years in business, and it is the rare sort of place that is somehow exactly the same and yet slightly better than it was the last time you visited. (Relatively new) owners Horst & Karen Pfeifer added a spacious, waterfront covered deck a few years ago, and these days, weather’s perfect for outdoor dining (quick, it won’t last long). As if the deck wasn’t kid-friendly enough, a nearby sand pit/volleyball court, chicken yard, fish pond, and rabbit hutch combine to make the sort of roadside attraction fast fading from the American landscape. 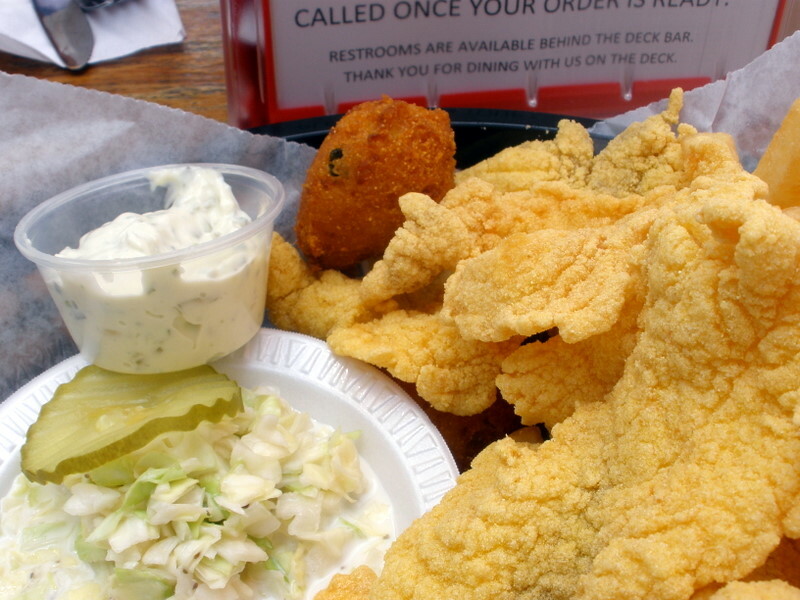 Back to Middendorf’s: seafood is still the menu’s mainstay, though steak, burgers, and respectable fried chicken accommodate a range of palates. Thin catfish and hush puppies tasted like fried, good memories, and the oniony tartar sauce improved everything it touched (including the otherwise ordinary french fries). 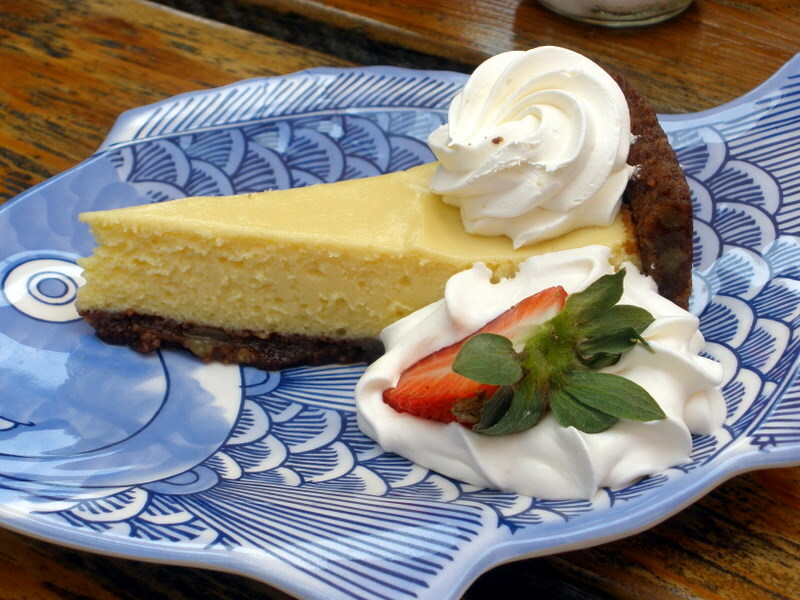 Homemade ice creams and chocolate-crusted key lime pie were worthy of a fancier establishment. So hurry over, before the mosquitos and the humidity get too thick. Is there actual catfish amid the crispy crust now? Back in the pre-Horst days we thought it tasted like fried batter. It’s still pretty thin–think of potato chips, but made of catfish. Thick cut fish is available, too. I was planning on heading to Amite today to visit my parents, who have a house there. I ended up staying in town, but had I gone, I would have stopped in Manchac for some of that catfish. And I agree with you that the place is as good or better than it used to be. My maternal grandparents lived in Amite, and we used to regularly go up to visit them. We’d meet them in Manchac at least once every couple of months, since it’s more or less halfway. Horst and Karen have done a great job with the place, and the deck is very nice as well.